Birth: Sep. 1, 1933 Lacy-Lakeview McLennan County Texas, USA Death: Sep. 13, 2006 Austin Travis County Texas, USA Texas Governor. 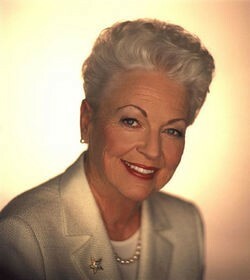 She served as the 45th governor of Texas from January 1991 to January 1995. She was born the during the depression years, the youngest of four children born to Robert and Mildred (Warren) Willis. She spent her early years in Waco, Texas, graduating from public high school in 1950. She received her undergraduate degree from Baylor University and a teaching certificate from the University of Texas. Following graduation she began a teaching career as an instructor of history and social studies at Fulmore Junior High School in Austin, Texas. She became active in Democratic politics at an early age, working in various campaigns to elect progressive and liberal candidates to state office. In 1976 she won her first elective office as a Travis County Court Commissioner defeating a three term incumbent. In 1982 she became the first woman in more than 50 years to win a statewide office, defeating her Republican challenger for the office of state treasurer. She rose to prominence during the 1988 Democratic National Convention as the party's keynote speaker. She gained national media attention for her famous sarcastic remark directed at wealthy Republican presidential candidate George H. W. Bush, saying "Poor George, he can't help itÃ¢Â€Â¦.he was born with a silver foot in his mouth." She was elected to the office of governor in 1990 serving one term. She was defeated for re-election by George W. Bush, the future 43rd President of the United States and son of President George H. W. Bush. Following political office she served as a senior adviser for a Washington D.C. law firm and served on the boards of Aspen Institute, J. C. Penney and T.I.G. Holdings. She was the recipient of numerous awards during her career including the Texas NAACP Presidential Award for Outstanding Contributions to Civil Rights, the Texas Women's Hall of Fame Award for Public Service and the National Wildlife Federation Conservation Achievement Award. (bio by: Nils M. Solsvik Jr.) Family links: Parents: Robert Cecil Willis (1909 - 1994) Mildred Iona 'Ona' Warren Willis (1910 - 1997) Cause of death: Esophageal Cancer Burial: Texas State Cemetery Austin Travis County Texas, USA Plot: Republic Hill, Section 2 (C2), Row G, Number 19 Ann Richards, 73, a feminist Democrat whose Texas twang, halo of white hair and quick-on-the-draw quips, helped make her an instantly recognizable national figure, despite serving only one term as Texas governor, died Sept. 13 at her home in Austin. She had been diagnosed with esophageal cancer in March. By the time Ms. Richards moved into the Governor's Mansion in Austin in 1991, she had been involved in state and local politics for years, as activist and officeholder, but she had become a national celebrity almost instantly, thanks to a one-liner she delivered as part of her keynote address at the 1988 Democratic National Convention in Atlanta. In a voice that rang with the sounds of Waco, her hometown, she ribbed the incumbent vice president, George H. W. Bush. "Poor George," she drawled. "He can't help it. He was born with a silver foot in his mouth." "She was nobody's fool," then-New York Times columnist Anna Quindlen wrote the next day. "She made them listen and she made them listen good, with precisely those qualities that we often try to iron out of politicians in general and female politicians in particular: a sense of fun, irreverence and general cussedness." ad_icon East Coast columnists may have approved, but those were the very qualities that made her suspect back home in Texas. One poll found that a sizeable percentage of older women believed that "women should stay home and take care of the house, and leave running the government to men." Many male Democrats felt the same way, and Texas Republicans were almost apoplectic that she had mocked not only the vice president of the United States but also a fellow Texan. (Barbara Bush began referring to her as "that woman.") Two years later, however, Ms. Richards survived a brawling, bruising Democratic primary, attracted a number of Republican crossover and independent voters in the general election -- including 61 percent of women voters -- and took merciless advantage of the fumble-tongued gaffes and political inexperience of her Republican opponent, West Texas rancher Clayton Williams. In the battle between "Claytie and the Lady," Ms. Richards won with 49.9 percent of the vote. She was not the first woman elected governor of Texas. In the 1920s, Miriam "Ma" Ferguson was twice elected to the statehouse as a surrogate for her husband, Jim "Pa" Ferguson who resigned in 1917 to avoid being impeached and was barred from running for office again. She was, however, the first woman elected in her own right. Her victory marked the zenith of Democratic Party power and influence in the Lone Star State. Four years later, Texas politics reverted to form, and she lost to the son of the man she had mocked in 1988. No Democrats have held statewide office since the late 1990s. She was born Dorothy Ann Willis in Lakeview, Texas (now Lacy Lakeview), a bedroom community outside Waco. Her father, she always said, came from a town called Bugtussle, her mother from Hogjaw. During her teenage years, her parents moved into town, so she could attend Waco High School. She got her first taste of politics at Girls State, an annual conference of high school students who gather in Austin and organize a shadow state government. She also attended Girls Nation in Washington, where she -- like Bill Clinton in years to come -- got to stroll through the White House Rose Garden and shake hands with the president, in her case Harry Truman. She dropped the name Dorothy. At Waco High, she met classmate David Richards, and at age 19, the high school sweethearts married and enrolled at Baylor University in Waco, where she received her undergraduate degree in 1954. They lived in Austin while Dave Richards attended law school at the University of Texas, and Ann Richards earned a teaching certificate and taught government at a junior high school. After a year in Washington, where Dave Richards worked for the U.S. Civil Rights Commission, the couple moved to Dallas. Ms. Richards became a homemaker, although she stayed politically involved by volunteering on the gubernatorial campaigns of Henry B. Gonzalez and Ralph Yarborough, as well as Yarborough's senatorial campaigns. The Richards family, by now with four children, moved to Austin in 1969, where Ms. Richards continued to work for candidates, including the Texas House campaign of Sarah Weddington, a 25-year-old lawyer who had successfully argued the Roe v. Wade abortion rights case before the U.S. Supreme Court. Ms. Richards described Weddington as the first "out-and-out feminist activist" she had ever met, and in 1974 she became Weddington's administrative assistant in the House.